Xiaomi Redmi Note 5 and Redmi Note 5 Pro is officially announced in the Indian market. So today in this post we will discuss how to root Root Redmi Note 5 / Note 5 Pro and Install TWRP Recovery. With the help of this guide, you can quickly Root Redmi Note 5 / Note 5 Pro with the help of the TWRP custom Recovery. In this, we are showing you the two methods to Root Redmi Note 5 / Note 5 Pro with magisk Manager and SuperSu rooting tools. The whole guide is a little bit of lengthy but one of the best way to root your new Root Redmi Note 5 / Note 5 Pro. Once you can successfully root your phone, you can enjoy lots of custom ROMs on your phone, Enjoy Tweaks and other rooted apps on your phone. This guide is only for the Redmi Note 5 / Note 5 Pro users who want to get the root access on their phones. Don’t follow this method on any other phone otherwise; you will brick your phone. So let’s get started and Root Redmi Note 5 / Note 5 Pro. Before following the below mention guide make sure that your phone has enough battery and do take the full backup of your phone. This process will wipe your data so save all your files and data in some safe place. Read all the instructions very carefully and follow all of them one by one on your phone. Install Custom ROM on your phone. Take the nandroid backup of your phone. Install Xposed Modules on your phone and tweak your phone. Install lots of Rooted apps on your phone and customize your phone as per your need. Install lots of Mods like Google Cam with the portrait mode. Unlock the Bootloader of your Phone with Mi Unlock Tool. USB cable to connect your phone to the PC to flash some files on your phone with ADB commands. 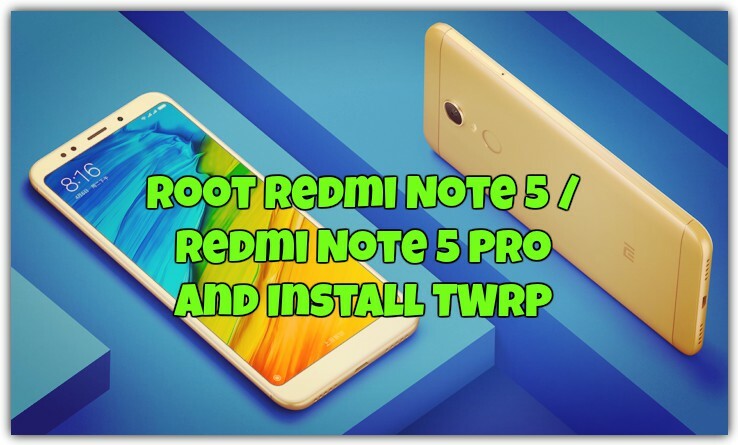 Download TWRP Recovery for Redmi Note 5 here. Download Magisk Manager to Root Redmi Note 5 / Note 5 Pro here. Download SuperSu to Root Redmi Note 5 / Note 5 Pro here. Download ADB and Fastboot drivers for windows here. Save all the files on your desktop and follow the next method to install the TWRP Custom Recovery on your phone. 1. First, you need to unlock the bootloader of your phone. Check the about mention link in Pre-requirements section to unlock Root Redmi Note 5 / Note 5 Pro. 3. Enable the USB debugging on your phone. Go to Phone Settings > About Phone > Now Tap on Build Number 7 time until you see a message on the screen like ” You Are Now A Developer”. 4. Now you have developer option, so go to Settings-> Developer Options -> Enable USB debugging and also enable OEM to unlock. 6. 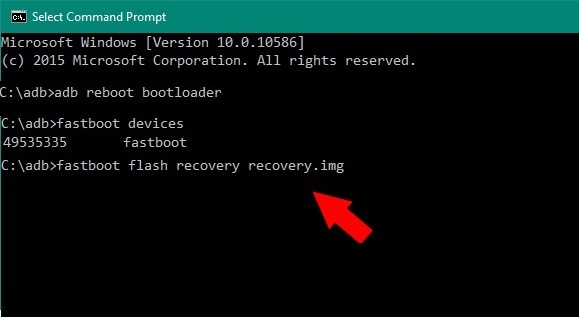 Save the recovery.img in the ADB folder that you created in Step 2 while installing ADB drivers. 7. Now time to Reboot your Redmi Note 5 / Note 5 Pro in fastboot mode. To do this first turn it off and Hold the Volume Down + Power button to boot into fastboot mode. 8. 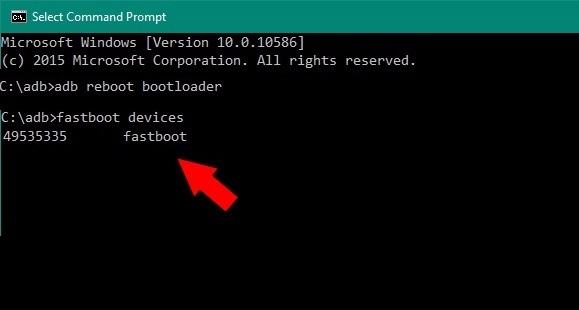 Once your phone in fastboot mode, connect it to the PC with USB cable. 8. 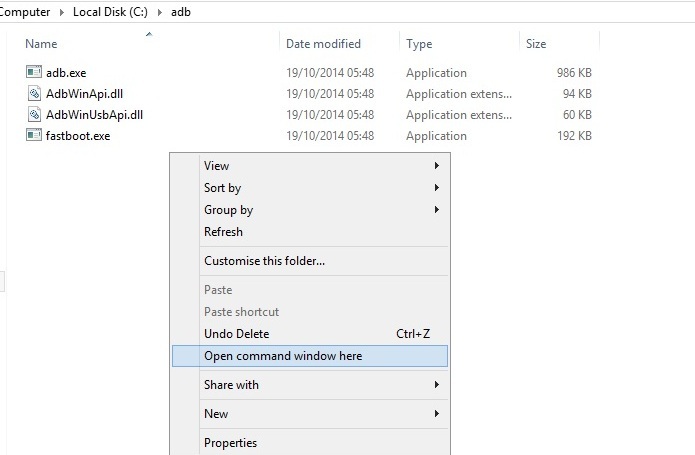 Open the ADB folder and open the command prompt window in the ADB folder by Pressing Left Shift + Right Click and Select Open Command Window Here. 9. Now in the command prompt window enter the following command to check the connection between the phone and Windows PC. 10. Now time to install the TWRP on the phone. 11. Now the TWRP recovery is successfully installed on your phone. Enter the following command to reboot your phone. 1. Download the Magisk Manager zip file from the download section and save the zip file on your phones internal memory. 2. 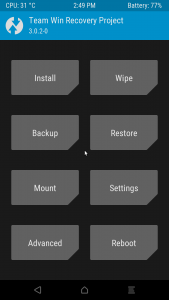 Now boot your phone in TWRP recovery mode. To boot in custom recovery mode first turn off your phone and hold volume up + power key together. 3. Once your phone in TWRP mode. Tap on the install option. Find the Rooting Magisk zip and install it on your smartphone. 4. Swipe the button to confirm the installation process. 5. That’s it… You have successfully rooted Xiaomi Redmi Note 5 / Note 5 Pro. Now tap reboot system. 1. Download the SuperSu zip file from the download section and save the zip file on your phones internal memory. 3. Once your phone in TWRP mode. Tap on the install option. Find the Rooting SuperSu zip and install it on your smartphone. So this is the quickest method to root the Redmi Note 5 / Note 5 Pro. If you have any question regarding this guide or facing some problem, then leave the comment below, and we will help you to fix it up. Will it void the warranty?